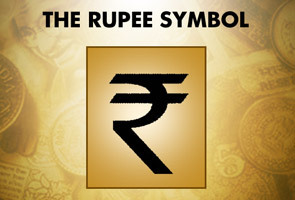 The Indian rupee has got its own unique symbol, joining the dollar $, pound Â£ sterling, euro E and the yen as international currencies with an identity that is instantly recognizable worldwide.The Union Cabinet decided on the symbol for Indian Rupee, a privilege (unique identity) available only to major currencies like dollar, euro, pound, sterling and yen. 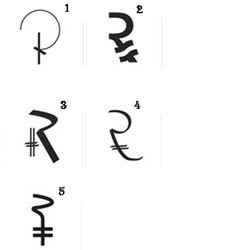 The new symbol is a blend of the Devanagari â€˜à¤°â€™ and the Roman capital â€˜Râ€™ without the stem. The parallel lines at the top(with white space between them) make an allusion to the tricolor Indian flag.With this the rupee will be the fifth currency in the world after the US dollar, the UK pound, the euro and the Japanese yen to have its own symbol.The Indian government will try to adopt the symbol within six months in the country and globally within 18 to 24 months. I saw the emblem in the news papers. It is quite simple and very good. A little simple but pretty creative. In the next keyboard we can find the symbol to type in! 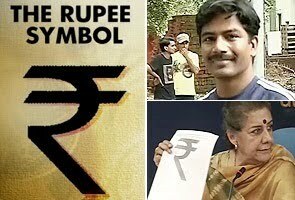 A Very Nice Post And The Symbol Has The Look Like Indian Flag At The Top Which Has Two Lines( = ) And The Name Rupee With Letter "R"